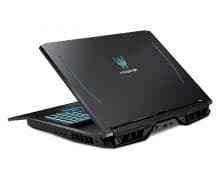 At its global press conference next@acer in New York, Acer introduced two new Predator Helios gaming notebooks. 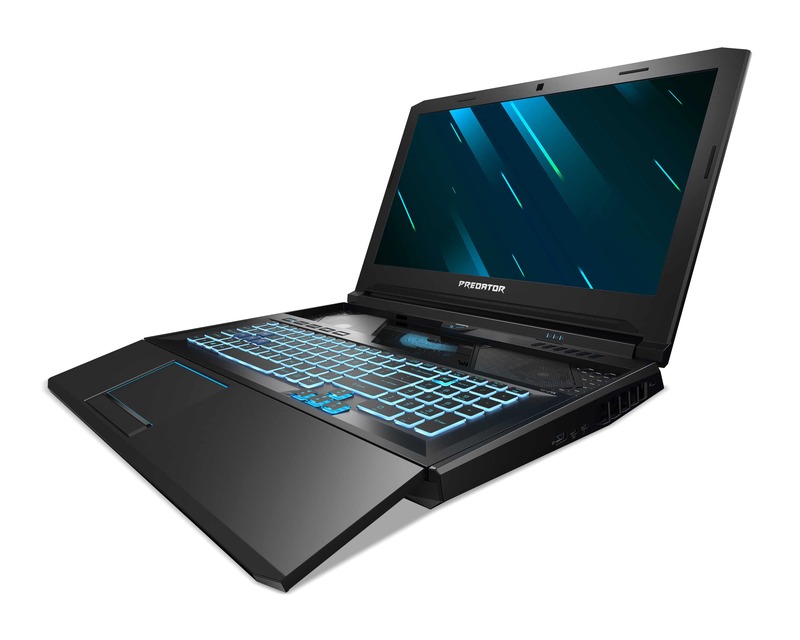 With the new technologies and innovative designs of the two Windows 10 notebooks, gamers are ahead of the competition. The new Helios 700 features a unique HyperDrift keyboard that moves to the user to improve airflow through the chassis. 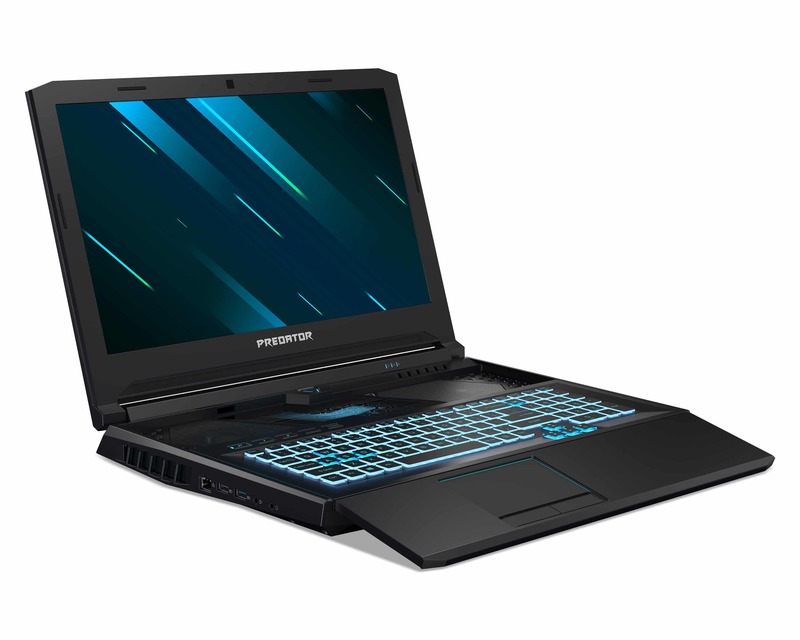 The revised Predator Helios 300 presents itself in an elegant, modern look and is operated with either an NVIDIA® GeForce® RTX™ 2070 in Max-Q design or the latest GeForce® GTX™-GPU. The uniquely designed Predator Helios 700 is equipped with the latest and most powerful technologies for battle. These include an Intel® Core™ i9 9th generation processor for superior overclocking performance, an NVIDIA® GeForce® RTX™ 2080 or 2070 GPU, up to 64GB of DDR4 memory, Killer DoubleShot™ Pro with Killer Wi-Fi 6 AX 1650 and E3000, which delivers up to four times more network capacity than previous AC standards in environments with many disruptive factors – while fast storage media keeps load times short. 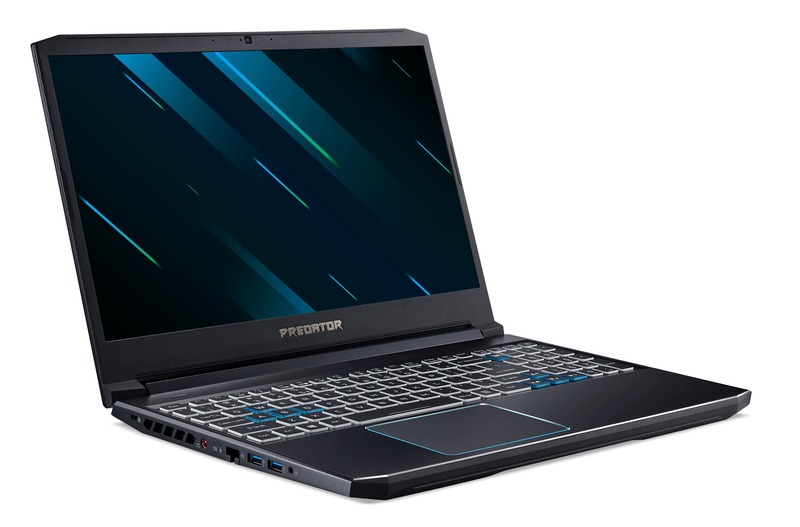 On this basis, games come to life on the 43.9 cm (17.3 inch) Full HD IPS display with 144 Hz, 3 ms response time and NVIDIA® G-SYNC™ technology. Five speakers and a subwoofer ensure that games are presented impressively with full and realistic sound. One of the most interesting features of the Helios 700 also has a great practical benefit. 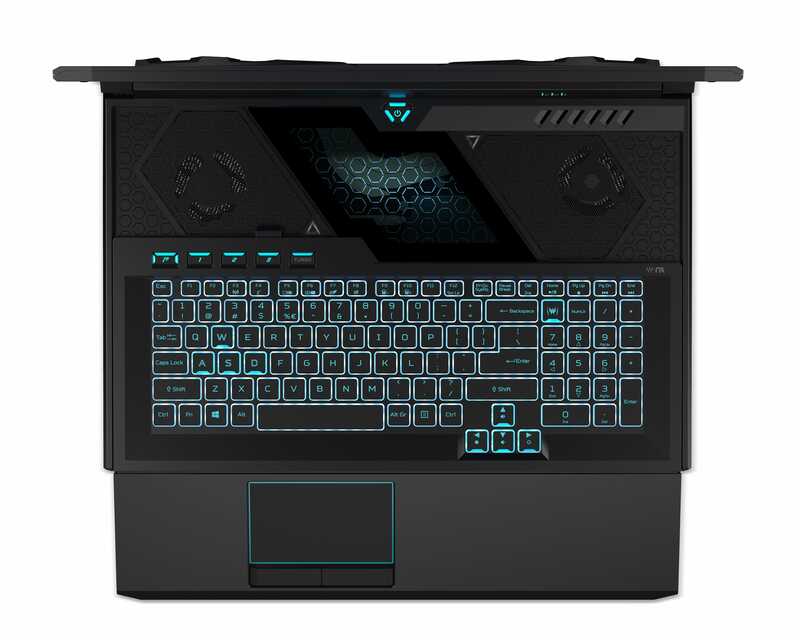 The HyperDrift keyboard is part of the notebook’s cooling system, which consists of two fourth-generation Acer AeroBlade™ 3D fans, five copper heatpipes, a Vapor Chamber and Acer CoolBoost™ technology. 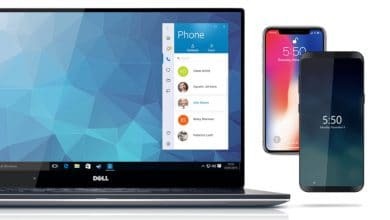 By simply pushing the keyboard forward, two extra air inlets appear above the keyboard and below the display, which additionally conduct air to the powerful heat-generating components, ensuring maximum cooling and overclocking. A glass pane also offers a view of the notebook’s heatpipes. The HyperDrift keyboard also improves ergonomics by allowing users a better distance from the screen while maintaining a loose arm position. 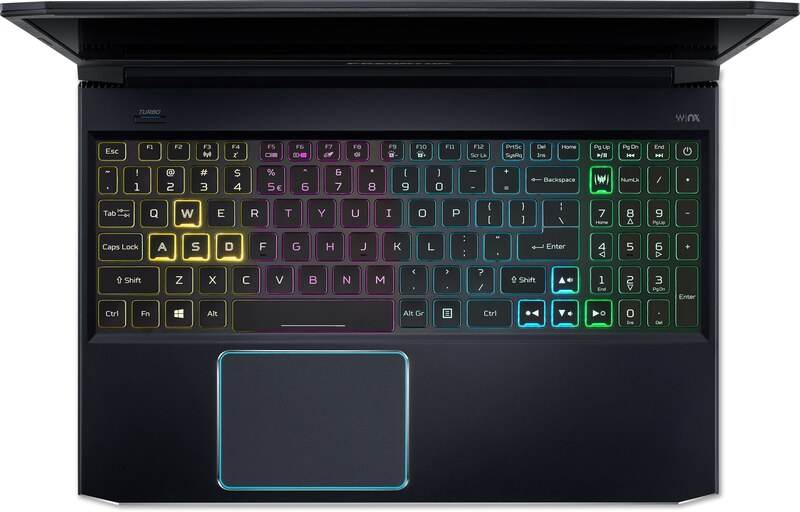 The keyboard also features RGB single key illumination, AntiGhosting and MagForce WASD keys. Their analog-like linear switches trigger immediately at the first touch and allow twice as fast reactions in the game. 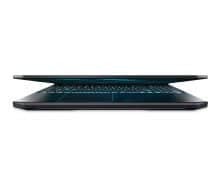 The precision touchpad is illuminated in blue all around and is equipped with two dedicated mouse buttons for easy operation. Gamers can quickly and easily overclock using the Turbo Hotkey, while the new PredatorSense Hotkey gives them instant access to CPU and GPU temperatures, fan control, macros, RGB lighting, and more. 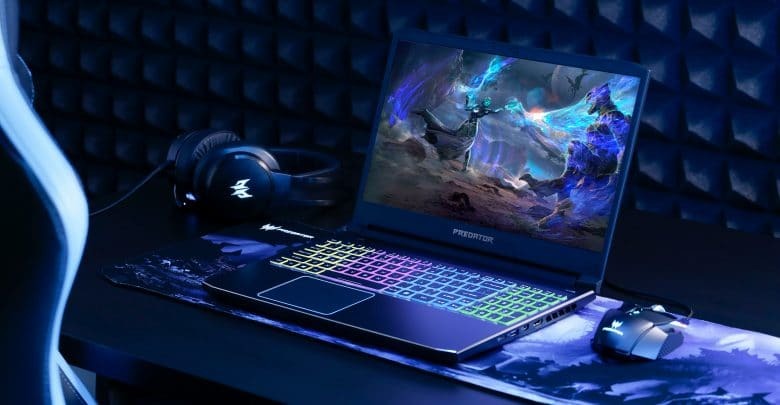 The RGB single-button lighting is even more fun for online gaming in conjunction with Predator RGB Assault-League of Legends (LoL), as it synchronizes the lighting of the keyboard with the action on the screen during the game. 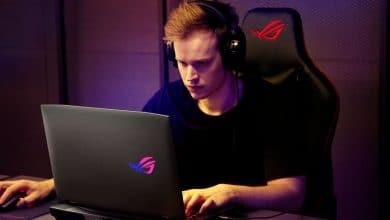 NVIDIA® GeForce® RTX™ Max-Q 2070 GPU supported by a turbo key for one-punch overclocking and killer DoubleShot™ Pro for fast, instant online gaming. Together with up to 32 GB DDR4-2666MHz memory and up to two PCIe NVMe SSDs in RAID 0 as well as a hard disk it is the perfect powerhouse for players of all current AAA titles. Most striking, however, is the new look of the Helios 300. 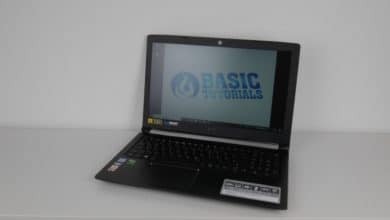 Its metal case now also shows the stylish blue accents typical of Predator notebooks and a corresponding backlight on the keyboard, which is labeled in its own unmistakable Predator style. 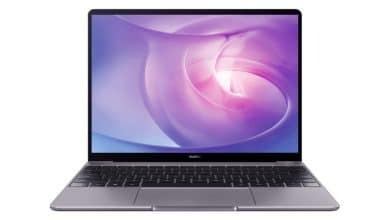 The Helios 300’s choice of 39.6 cm (15.6 inches) or 43.9 cm (17.3 inches) Full HD IPS display, one of the first notebooks in its class to be equipped with a 144 Hz display, is surrounded by a particularly narrow edge and offers an overclocked 3 ms response time for a smooth, seamless gaming experience. 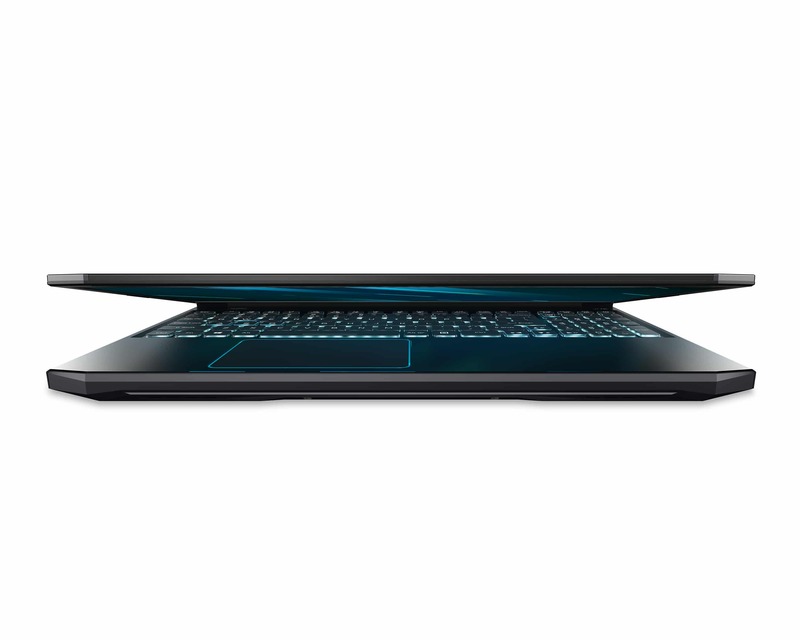 An advanced and efficient thermal design keeps the notebook cool and unleashes the true potential of the Helios’ powerful hardware. The central component for keeping the temperature low is the dual fan cooling system with proprietary Acer AeroBlade™ 4th generation 3D fans. The modern fan design was inspired by the quiet flying technique of an owl, which stands for maximum airflow and minimum noise. The new 0.1 mm thin fan blades have a serrated edge, winglets along the top and bottom and a curved fin on the inner edge. This leads to an improvement in air flow of up to 45 percent. 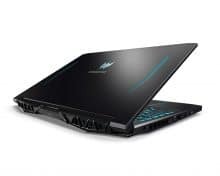 In combination with strategically placed supply and exhaust flaps and the Acer CoolBoost™ technology, the Helios 300 remains cool even under load and easily copes with intensive overclocked gaming sessions. The Predator Helios 300 also features a keyboard with the distinctive Predator font and 4-zone RGB illumination. 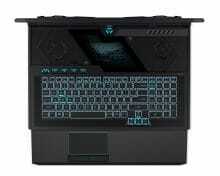 Ease of use and functionality are enhanced by the new PredatorSense and Turbo hotkeys, an enlarged space bar, and concave, highlighted WASD, arrow, and hotkeys. The Predator Helios 700 is expected to be available from July at non-binding retail prices starting at 2,499 euros. The Predator Helios 300 is expected to be available from June at non-binding retail prices starting at 1,499 Euro.